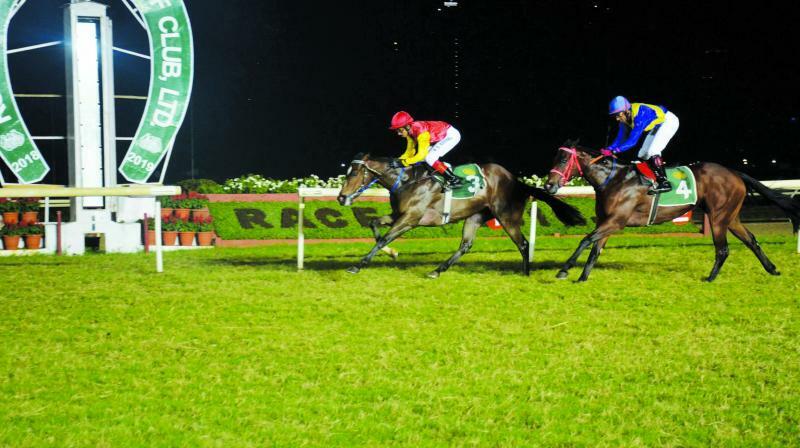 The city witnessed its first ever night horse racing sports event organised by The Royal Western India Turf Club at the Mahalaxmi Race Course. Night horse racing is among the oldest of all sports, and was played by the royals and nobles of yore. A large number of horse racing enthusiasts gathered together at the sprawling 2400-meter oval shaped Mahalaxmi racetrack, for the city’s first-ever ‘evening horse racing’ event on Saturday. The Royal Western India Turf Club (RWITC) became the only venue in India to host a night horse racing sports event at par with other international cities, their tagline being, ‘If you never go, you will never know.’ “It is time for a change in Indian racing and to give a much-needed boost to the sport apart from providing an exciting evening for the fun loving people of the city,” says Sanjay Shah, a committee member of RWITC. A total of eight horse races took place at the event, out of which one was a whip-free race and another dedicated to filly horses. A total of 40 horses participated in the event. Besides this, the 500-attendees were also regaled with a host of entertainment activities that brightened the moonlit evening further. “Having a race under lights along with other forms of entertainment makes it an inclusive evening providing options to various age groups to enjoy at the same place,” says Gaurav Rampal, another member of the club. 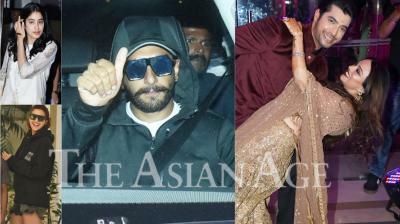 The sport is also garnering considerable attention from B-town. Present at the event was director Milan Luthria of the Once Upon a Time in Mumbai fame, and film producer Farouq Rattonsey, who produced films like Zubeidaa, who came along with their horses. Both the B-towners own mutiple horses and frequently participate in such races. 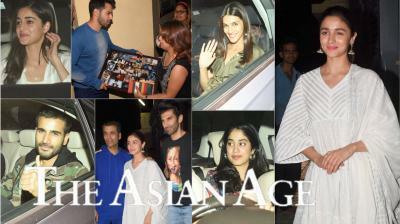 “These kinds of evenings are a best chance for them to rub shoulders,” says Sanjay.